The shares of 247 companies and four mutual funds listed on the Ho Chi Minh Stock Exchange slightly recovered on July 16 amid global stock markets flooded in red. 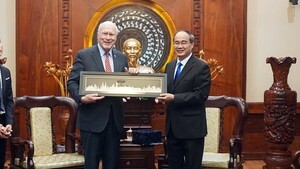 Vietnam’s benchmark VN-Index edged up 0.2 percent, or 1.02 points, to 506.21 points. Around 46 million shares changed hands at a value of VND1.41 trillion, as liquidity improved by the end of the trading session. Of the index, 80 stocks advanced, 97 declined, and 74 stalled. Saigon Thuong Tin Commercial Bank or Sacombank (STB) continued to be the most active share in volume the fourth day with 2.35 million shares being traded. Transport Engineering Construction & Business Investment Stock Company 584 (NTB) came next with 2.1 million shares, followed by Ocean Group Joint Stock Company (OGC), which shot up 4.99 percent today, with 1.96 million shares changing hands. Vietnam Electricity Construction Joint Stock Corporation (VNE) jumped the maximum daily allowed limit of 5 percent to VND25,200. Hanoi-based construction company Tai Nguyen Corporation (TNT) and Meca Vneco Investment and Electricity Construction Joint Stock Company (VES) both added up 4.98 percent to VND33,700 and VND31,600 respectively. TMT Automobile Joint Stock Company (TMT) sank 4.4 percent to VND30,400. Saigon Beverages Joint Stock Company (TRI) ended its two-day winning streak, losing 4.12 percent to VND9,300. House Viet Nam Joint Stock Company (NVN) moved backwards for the second straight day, giving up 3.99 percent to VND36,100. 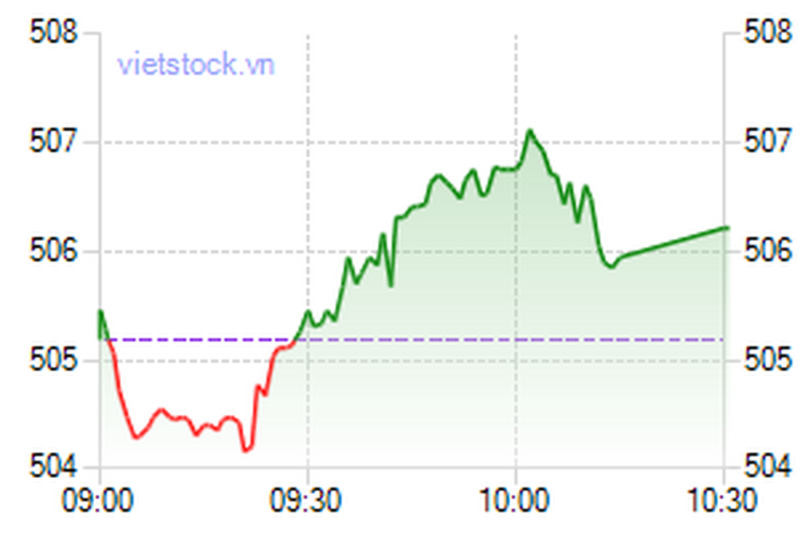 A similar scenario played out on the smaller bourse in the north, as Hanoi’s HNX-Index gained 0.26 percent, or 0.41 points, to close at 161.12 points. Trading volume dropped slightly to 40.7 million shares, worth VND1.21 trillion. After net buying for eight consecutive trading sessions, foreign investors shifted to net selling, valuing approximately VND5.75 billion. The UPCoM-Index fell 0.8 points, to 59.5 points. A total of 495.381 shares changed hands at VND9.69 billion, as of 11 am local time.